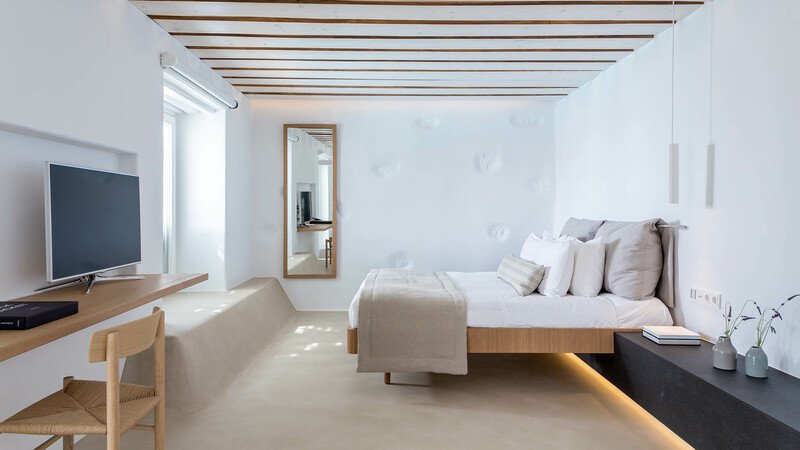 Revel in the astonishing, newly renovated Bill & Coo Suite of this fine luxury Mykonos hotel designed to soothe and spoil its guests. 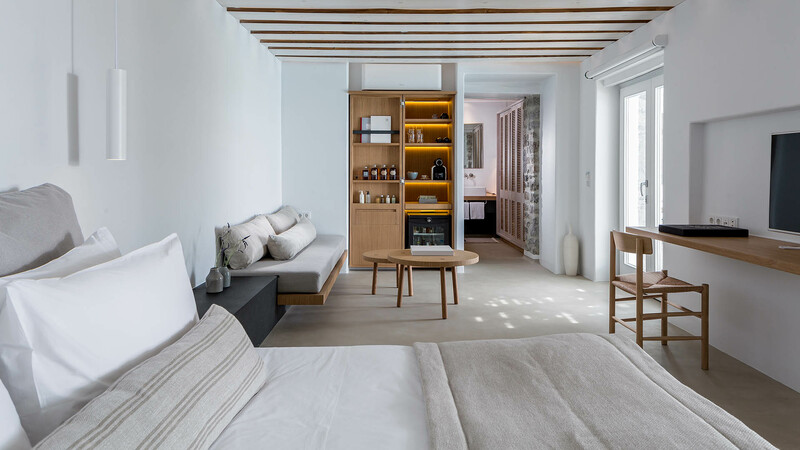 The design breathes a new air of Mykonian luxury; it is at once authentic, cultured and contemporary in appearance, presenting a rejuvenated sense of place for Bill & Coo. 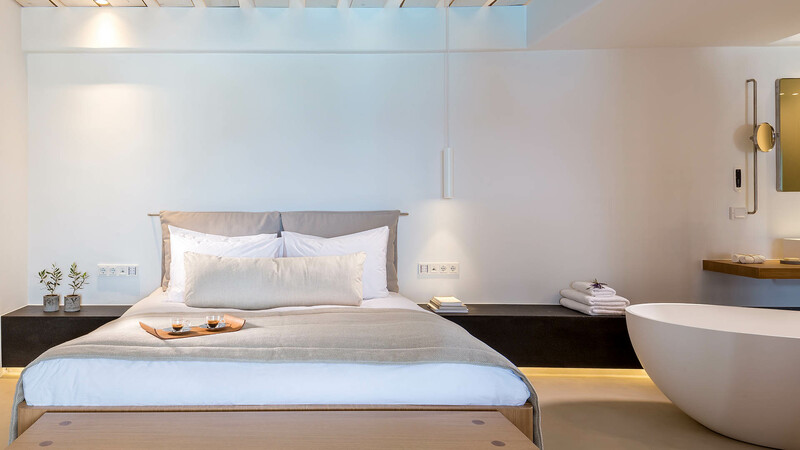 Covering 70m2 of private luxury & style, this brilliantly appointed suite with the dazzling infinity pool, may be heated for the months of April ,May and October, and veranda offers the pleasures of indulgence in a setting made of dreams. 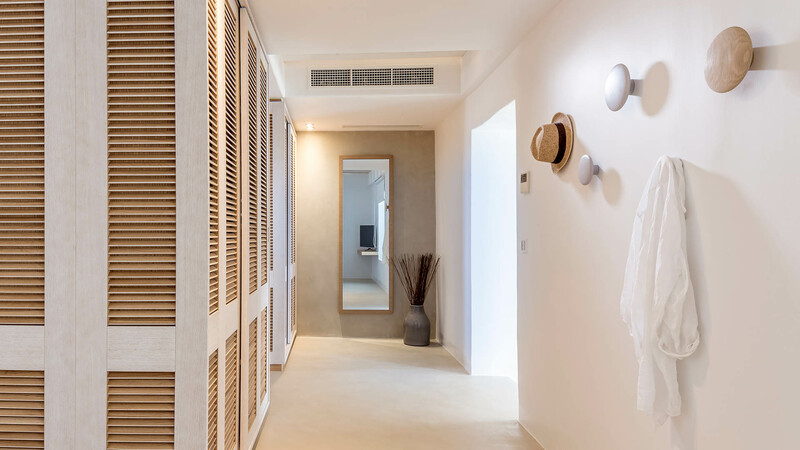 The fusion of traditional Cycladic architecture and minimal design decor perfectly complements the tranquil ambience while the smart home automation and steam shower in the bathroom ensure relaxation beyond expectations. 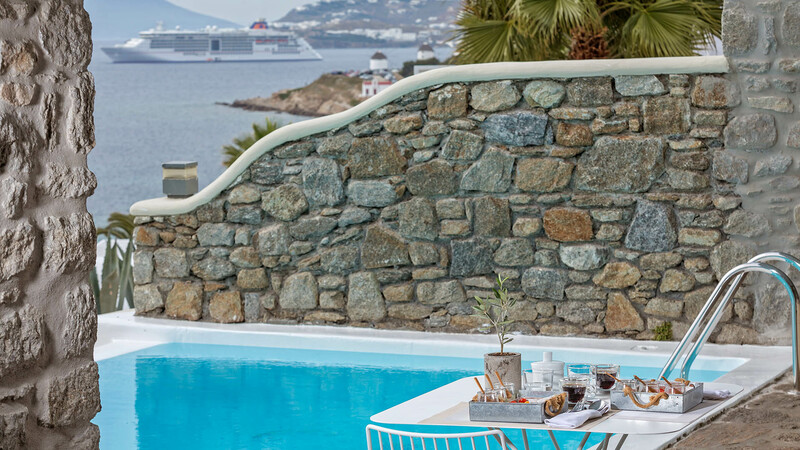 The private and spacious, fully equipped veranda with the infinity pool is strategically oriented for those precious moments of relaxation when couples can unwind to the whispering sounds of the waves and the romantic sunset. 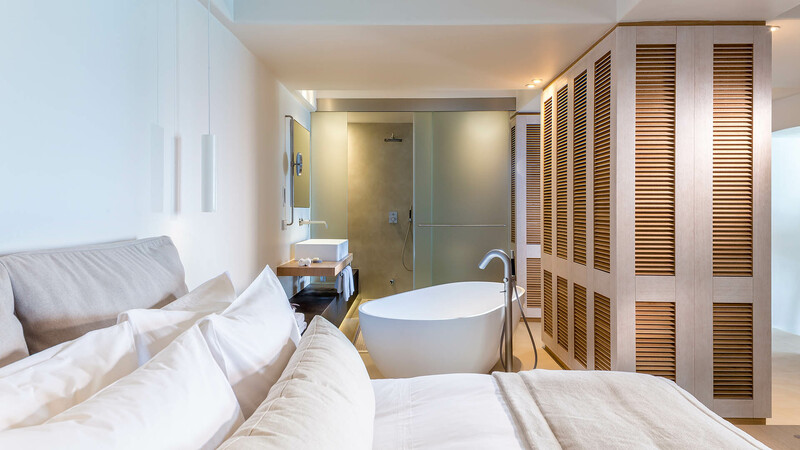 In the comfort of this suite, the hotel is your home and the panoramic sea view is your back door. 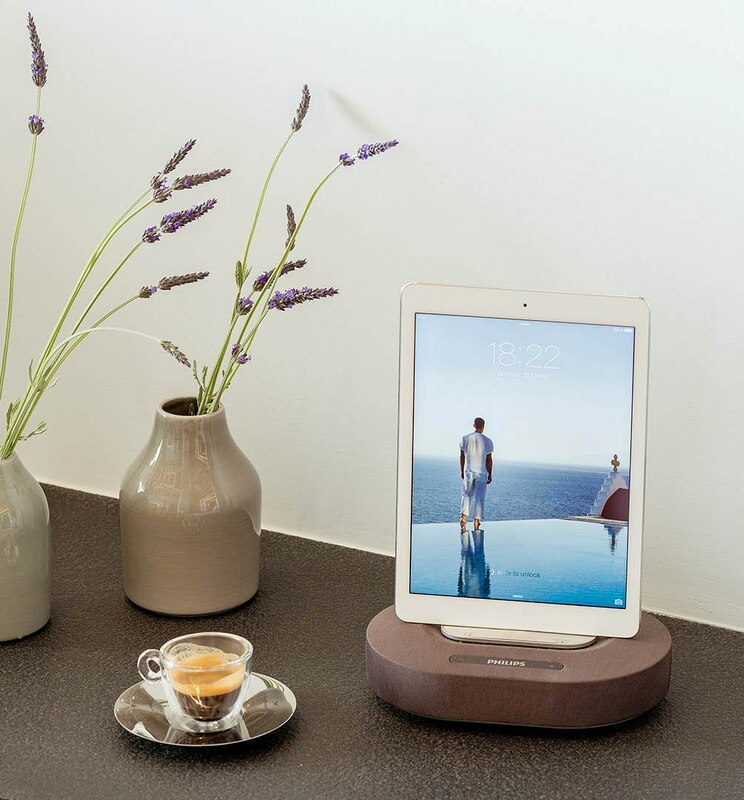 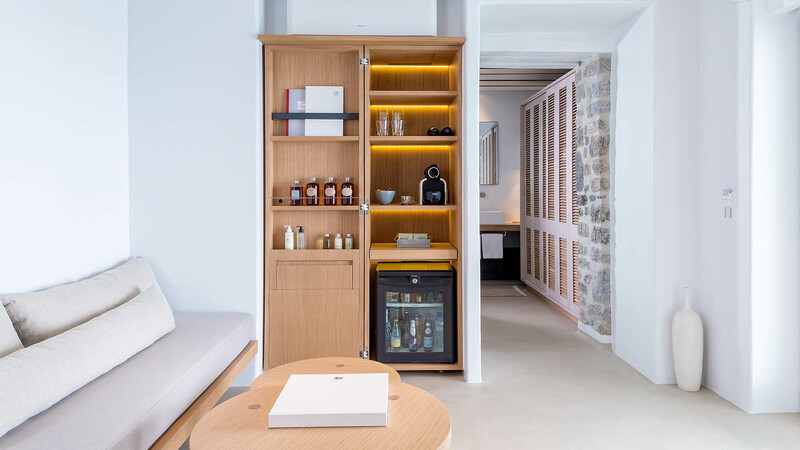 The minimal design, the neutral colors, the wooden details and smart home automation system provide a placid natural escape for the senses to wonder. 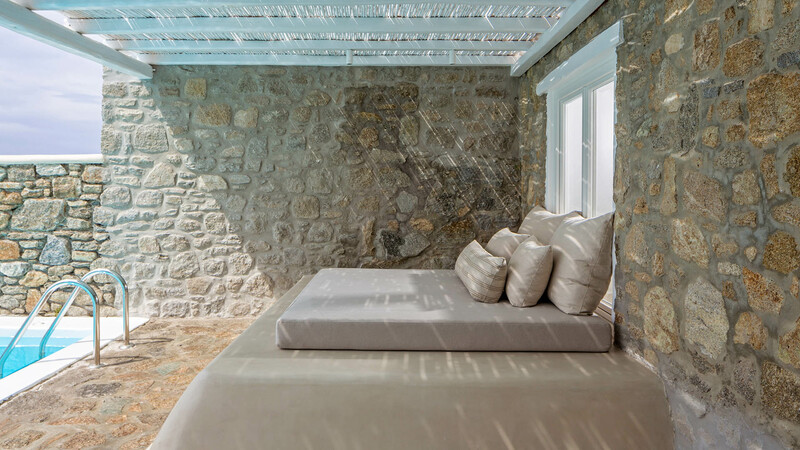 Relax on the spacious balcony and gaze in awe at the vivid azure Aegean sea.